Can I Travel to Canada with Criminal Record? Any US citizen or US resident that has a criminal record may be denied entry to Canada because of criminal inadmissibility. After 9/11 the United States and Canada have been sharing an increasing amount of information in the name of security, and as of 2010, the FBI criminal database is synced with the Canadian RCMP crime database. This allows the Canada border to quickly and easily see if an individual has a US criminal record, and potentially refuse them entry if they do. If a person is inadmissible to Canada due to criminality, the only way he or she can visit Canada with a criminal record is by obtaining permission from the Canadian government. Permission for criminal entry is granted by a Canadian Temporary Resident Permit or TRP for short, which is the fastest method to gain admission but eventually expires, or through a process called Criminal Rehabilitation which takes significantly longer to obtain but is permanent. 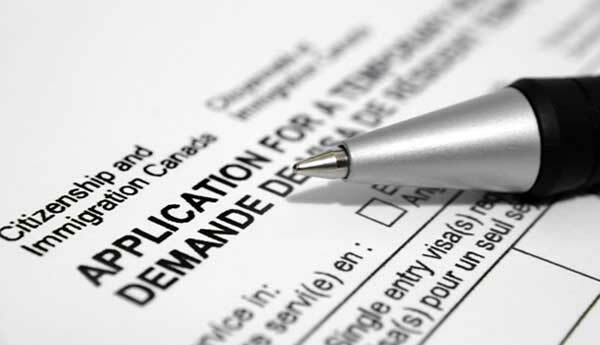 A Canada TRP enables a foreign national with a criminal history to cross the border into Canada for a limited amount of time and may be issued for a single entry or many entries over a period of time as long as three years. The Canada Criminal Rehabilitation program allows somebody with a criminal record to clean the slate and forever fix their inadmissibility, but is only available to individuals who have finished their full sentence (payment of all fines, completion of probation, etc.) more than five years prior. If it has been less than five years since you completed your full sentence, your only option for traveling to Canada with a criminal record may be a Temporary Resident Permit. Many Americans with criminal records do not realize that entering Canada may be a problem, and consequently can be denied entry when crossing the Canadian border without a TRP or Criminal Rehab to overcome their inadmissibility. The onus is always on the traveler to be able to justify their admission into the country, so it is possible to be refused entrance even if a person was found not guilty of a crime. If the Canadian border sees an arrest on a visitor's record, they may be denied admittance into the country unless they have documents proving that the result was "no conviction". For this reason, people who are awaiting trial for a crime that could render them inadmissible likely need a Temporary Resident Permit in order to visit Canada even though they have not yet been convicted. This also means that people who are enrolled in diversion, deferral, suspended sentence, or conditional discharge programs may be inadmissible to Canada until they fulfill the program's obligations and receive documents proving a favorable outcome. Under the Canadian Immigration and Refugee Protection Act (IRPA), a sealed record can be equivalent to a criminal record. Consequently, sealing a criminal record will not necessarily make an American admissible to Canada again without a TRP or Rehabilitation. Canadian border crossing rules for criminals are rigorously enforced by Canada Border Services Agency (CBSA) agents and given today’s climate of heightened security worldwide, the chances of a visitor being flagged due to criminality are significant. Drunk driving is the most common crime in America, and therefore a majority of the US residents that are turned away due to criminality while crossing the Canadian border are people with a DUI. Even a single DUI or DWI from years ago can render a person ineligible to go to Canada, and drinking and driving plead down to a reckless driving charge can also be the basis for an international denial of entry. Although our team works mostly with clients who need to overcome an impaired driving charge in order to go to Canada, we can assist Americans with criminal records for other types of convictions as well. If you have a criminal record and wish to visit Canada for work or pleasure, phone our Canadian immigration lawyer now for a free extensive consultation! In certain cases, if an individual only has a single misdemeanor on their record, ten years after they complete their full sentence they may be deemed rehabilitated by virtue of time and considered admissible to Canada once again. If a person has more than one misdemeanor or has a felony conviction on their criminal record, however, Deemed Rehabilitation may not apply to them, and they may never become admissible by the passage of time. This means that anyone with multiple misdemeanors or a single felony on their criminal record can be considered inadmissible to Canada even 30 or 40 years later unless they have been given special approval for entry. If the crime involved a weapon, any property damage, or was violent in nature, the individual may also never be eligible for Deemed Rehabilitation. Consequently, offenses such as assault and domestic violence do not qualify for Canadian Deemed Rehabilitation and can render a person inadmissible for life unless they get approved for Criminal Rehabilitation. As of December 18, 2018, a DUI is considered a serious crime in Canada. Consequently, Americans with an impaired driving offense will no longer be automatically allowed into Canada after ten years. Drug possession of the following illegal drugs can also result in a person being denied entry to Canada: amphetamine, cocaine, flunitrazepam (rohypnol), GHB, heroin, ketamine, LSD, MDMA (ecstasy), mescaline, methamphetamine (meth), opium, PCP, and psilocybin. Selling these drugs can also render a person ineligible for entry to Canada, along with other drugs such as anabolic steroids. A single arrest or conviction of marijuana possession will not necessarily cause a person to be excluded from Canada provided they had less 30 grams of weed on them. Prior to legalization in Canada, two or more charges of possession of marijuana (including civil violations in states where small amounts are decriminalized) could potentially cause a person to be non-admissible to Canada. Now that the country has legalized recreational cannabis, however, offenses for possession of more than 30g are the ones that typically cause the most trouble at the border. Possession of scheduled prescription drugs without a valid prescription can also lead to an American being stopped at the Canadian border due to their criminal record. This includes painkiller drugs such as Oxycodone (Oxy), Demerol, and Dilaudid, as well as ADHD drugs such as Ritalin, Adderall, and Dexedrine. I Have a Criminal Record Can I Travel to Canada Urgently? It is possible to quickly go to Canada with a criminal record, provided you successfully petition the Government for an emergency TRP at the border. Canadian admissibility is determined by the appropriate legislative equivalent in Canada. If you commit an offense in a jurisdiction outside of Canada, such as in the United States of America, you may be criminally inadmissible to Canada and could be denied entry at the border. If you apply for a TRP at the border, however, you may be given special entrance permission provided your situation is truly an emergency. Advanced permission for crossing the Canadian border with a criminal record can be obtained through a Canadian Consulate. Can You Go to Canada with a Criminal Record? Many foreign nationals, particularly Americans, are shocked to learn that a single criminal offense as "minor" as driving drunk can render a person ineligible to visit the country. We receive many phone calls from individuals who unfortunately only began searching for information related to entering Canada with criminal record after they were denied at the border as opposed to before their trip. While it seems obvious to many why Canada would attempt to exclude foreigners with a history of violent or sexual crimes such as armed robbery, some people find it crazy that they do not allow US residents with a first-time DWI offense to visit unless they have permission. In Canada, impaired driving now has a maximum imprisonment of ten years, and such offenses can therefore be considered serious criminality. Travel restrictions can make visiting Canada difficult if you have a criminal record. If you have been charged with a crime in a foreign country, such as the United States, admissibility to Canada is determined by the Canadian law the foreign criminal offense equates to and nothing else. If the equivalent offense in Canada can be considered indictable, which is serious criminality similar to a felony in the US, the visitor may be found criminally inadmissible to the country and refused entrance. If the equivalent Canadian criminal offense is a summary offense, similar to an American misdemeanor, the visitor may be considered admissible and permitted entry into the country without requiring a TRP or Rehabilitation provided it was a single conviction or they have had a clean record for more than five years. Hybrid offenses in Canada, such as driving under the influence of alcohol (DUI), can be both a misdemeanor or a felony and can consequently render a person excludable from the nation since the potential for it to be prosecuted as indictable is there. Any criminal record, whether it is a shoplifting charge at Walmart or a possession of cocaine with intent to sell conviction, can cause a dilemma when traveling outside the United States of America. Since the Canadian border has abounding access to American criminal databases, it is very easy to be flagged when entering the country. For this reason, many Americans with felony or misdemeanor criminal records apply for Canada Temporary Resident Permit (TRP) or Rehabilitation with meticulous detail prior to a trip north. Getting a TRP is generally a more straightforward procedure when you are doing so preemptively rather than after being barred by immigration authorities.